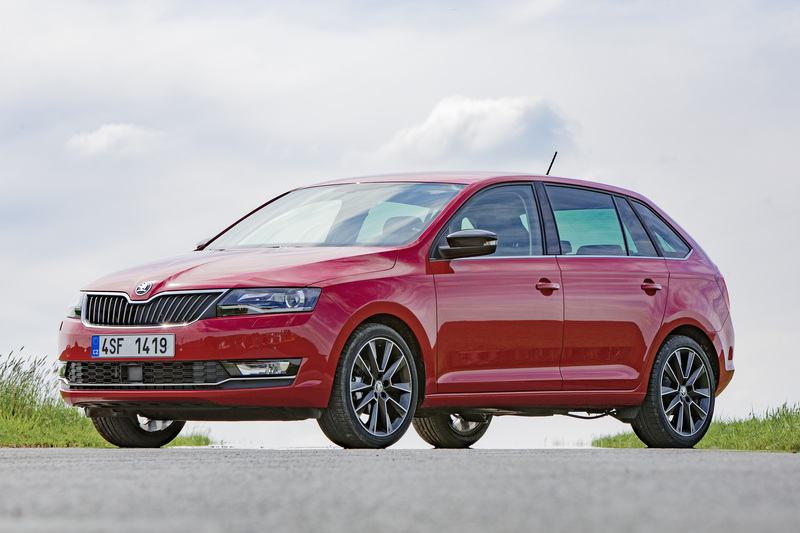 The ŠKODA RAPID SPACEBACK combines the practical advantages of all ŠKODA models with a compact hatch body. Its dynamic design increases its appeal to a younger target group. 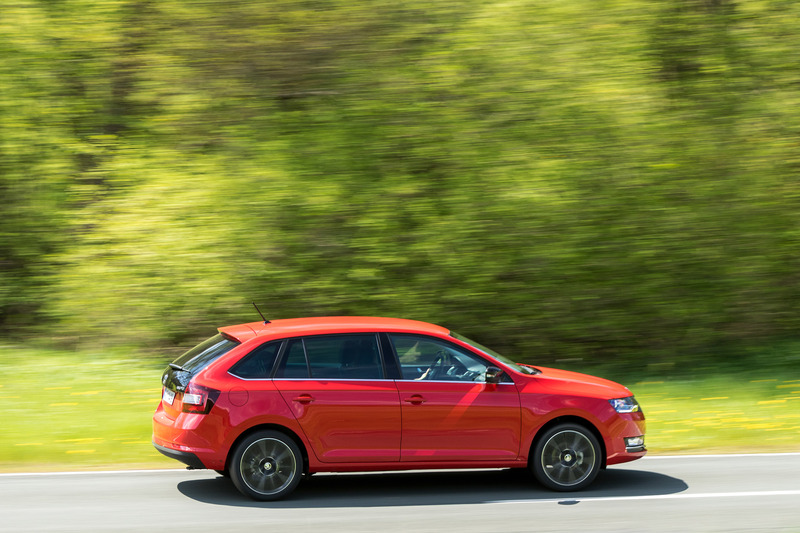 The ŠKODA RAPID SPACEBACK impresses with strengths that are typical of the brand, namely generous interior space, numerous ‘Simply Clever’ ideas as well as a high level of both active and passive safety. 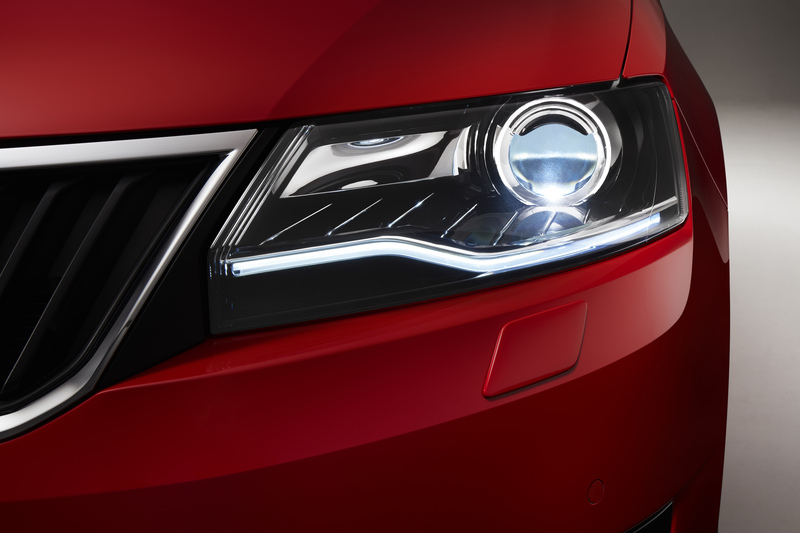 From the Ambition trim level upwards, the main headlights feature LED daytime running lights. The optionally available bi-xenon headlights, are also combined with LED daytime running lights and indicators. 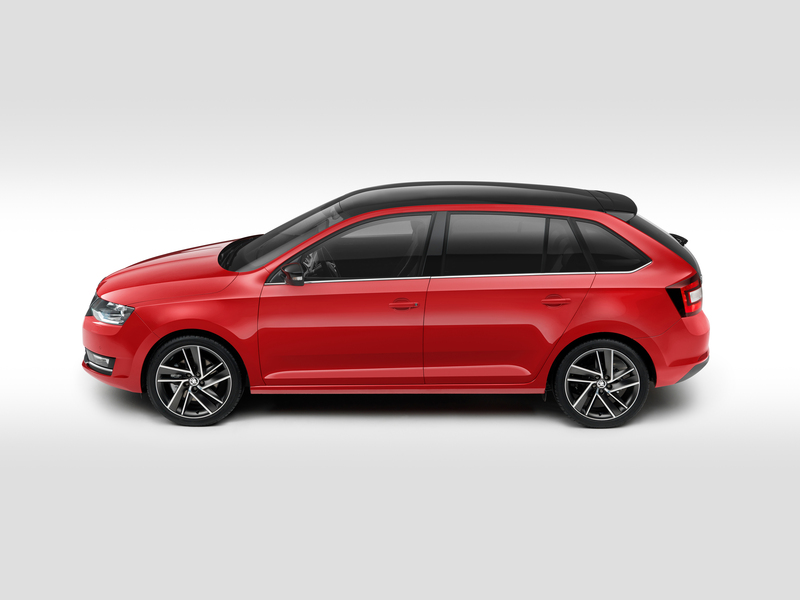 The lengthened rear window now comes as standard for the Style trim level and achieves a distinct feeling of space, particularly with the optional panoramic glass roof. 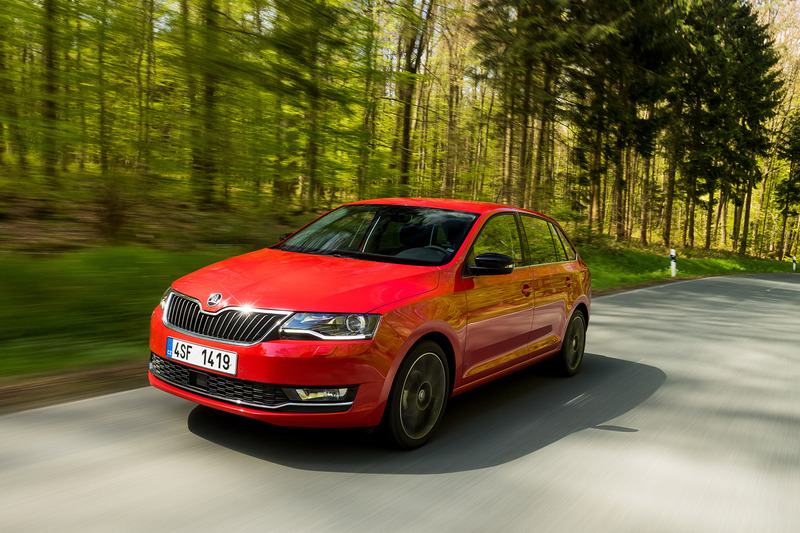 New dynamic and efficient three cylinder 1.0 TSI engines replace the units with a cylinder capacity of 1.2 l. The ŠKODA RAPID SPACEBACK is also available in the sporty MONTE CARLO variant. 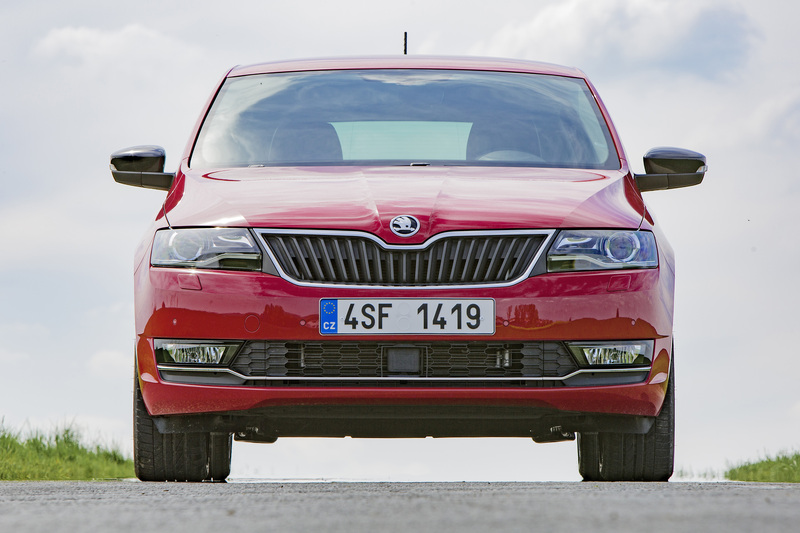 The visual upgrade of the ŠKODA RAPID SPACEBACK is particularly apparent when looking at the front. 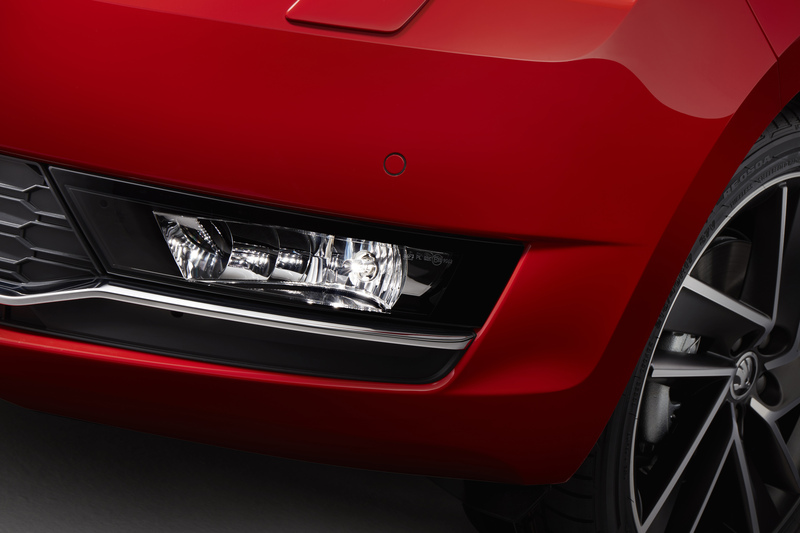 The modified fog lights in the redesigned lower section of the bumper are connected by a narrow chrome strip (as standard for Style), which makes the front section appear even wider. 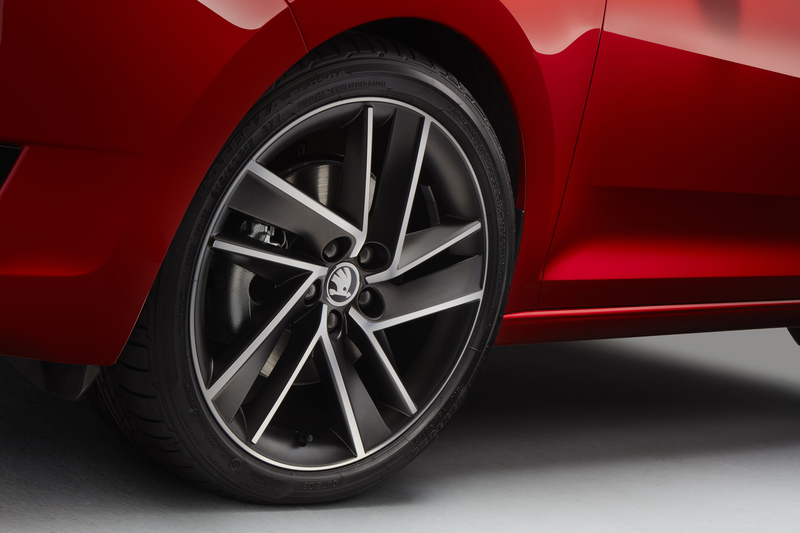 Five new wheel designs are available in a new design (optional). In addition, there are 13 paint finishes available, three of which are new colours and nine of which are metallic. 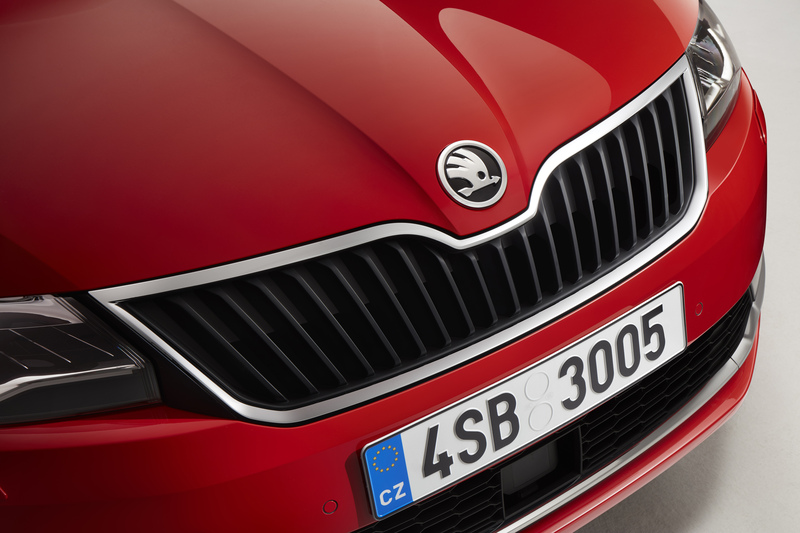 The front design of the ŠKODA RAPID SPACEBACK comprises the characteristic elements of the ŠKODA RAPID hatchback. 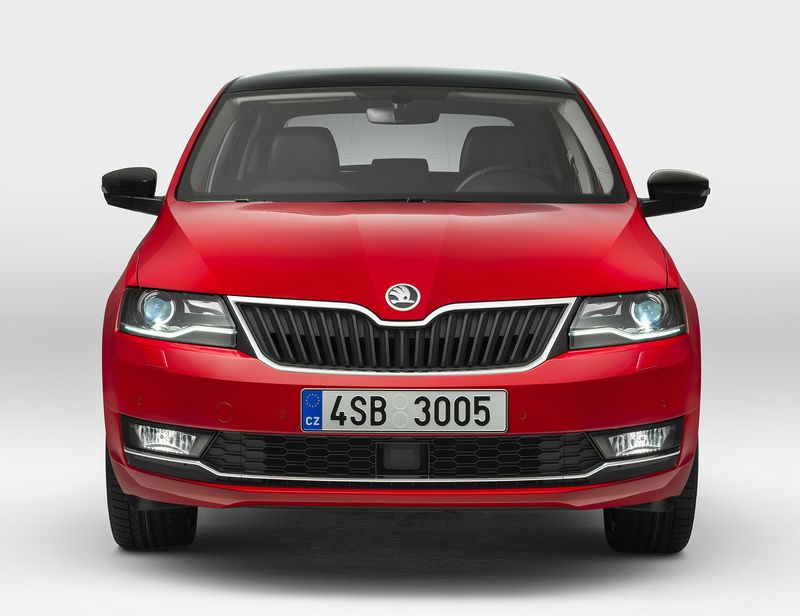 Apart from the striking radiator grille with its 19 vertical slats and chrome surround as well as the cloverleaf arrangement of the headlights and front fog lights, these also include the ŠKODA logo. 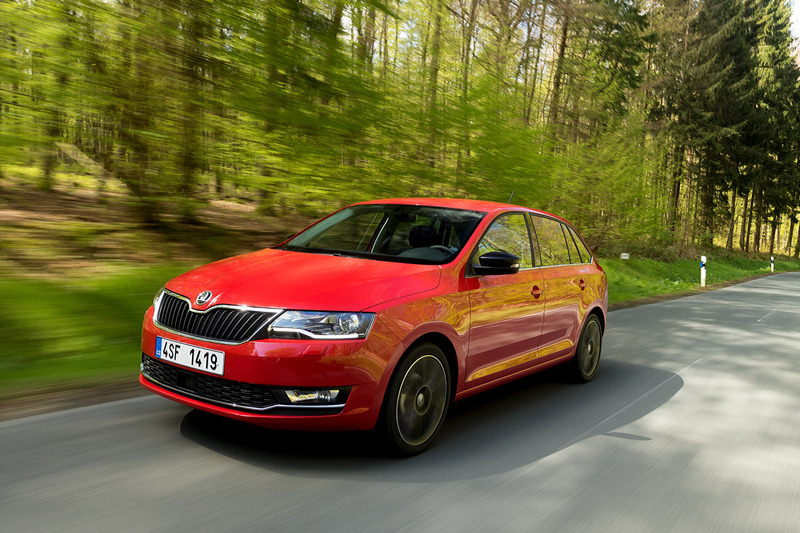 The ŠKODA RAPID SPACEBACK can also be ordered with front fog lights including cornering function in the Ambition and Style trim levels. 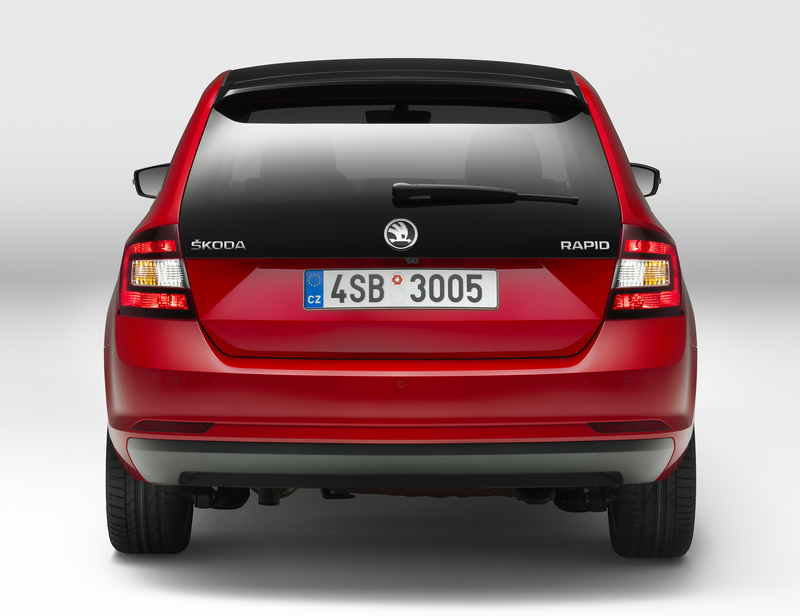 The longer rear window is also a distinctive feature top-of-the-range variant of the upgraded ŠKODA RAPID SPACEBACK. Black-tinted covers on the tail lights in the brand-typical ‘C’ shape lend the rear an even sportier appearance. The black diffuser element and the reflectors in the bumper emphasise the horizontal orientation. 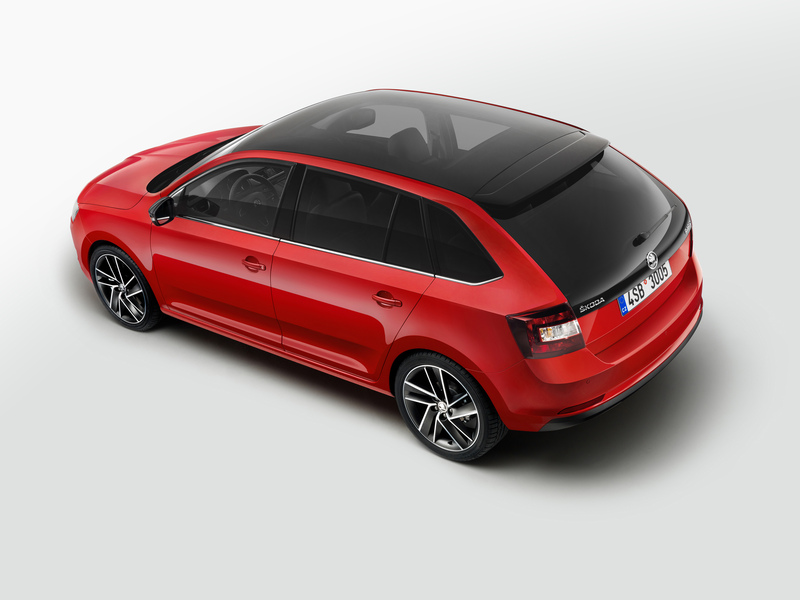 In combination with the longer rear window (as standard for Style), the panoramic glass roof lends the ŠKODA RAPID SPACEBACK a unique appearance. This sees the glass area stretch from the front window and glass roof deep into the tailgate, offering unobstructed views as well as a particular feeling of spaciousness for the occupants. The glass roof measures 1,713 x 1,155 mm with a transparent area measuring 1,210 x 780 mm. The side view is shaped by the 2,602-mm-long wheelbase and the coupé-like silhouette with the sharp tornado line, which creates an interplay between light and shade on the body’s surfaces. 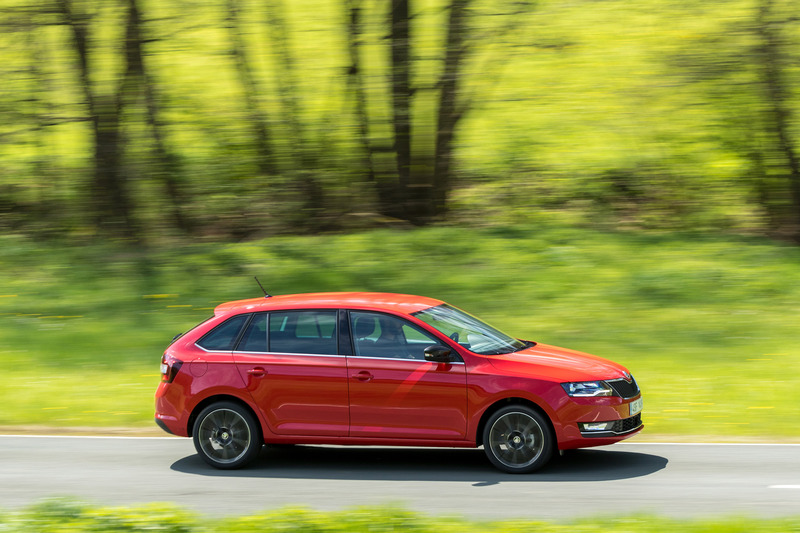 In comparison to conventional hatchback models, the side view of the ŠKODA RAPID SPACEBACK comes across as sportier and more elongated. 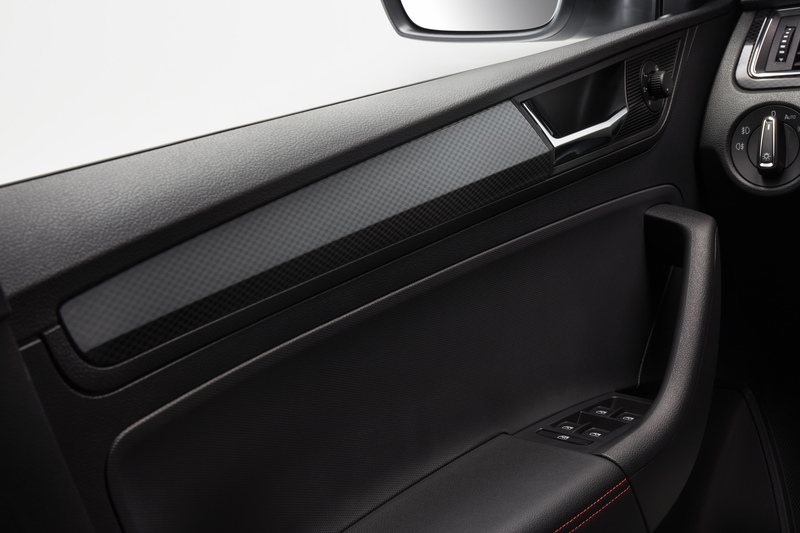 A third side window between the C-pillar and the additional D-pillar improves all-around visibility in the blind spots. Together with the large window surfaces, the slimline roof beams also ensure a high degree of clarity, thereby lending the interior a bright ambience with plenty of light. 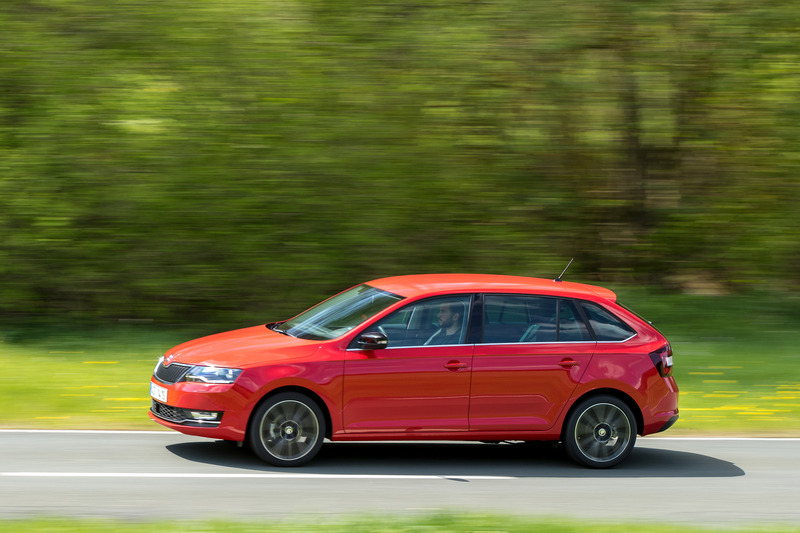 Although the ŠKODA RAPID SPACEBACK falls 18 cm short of the RAPID hatchback in terms of exterior length, it provides virtually the same incredible amount of interior space as its hatchback sister model. 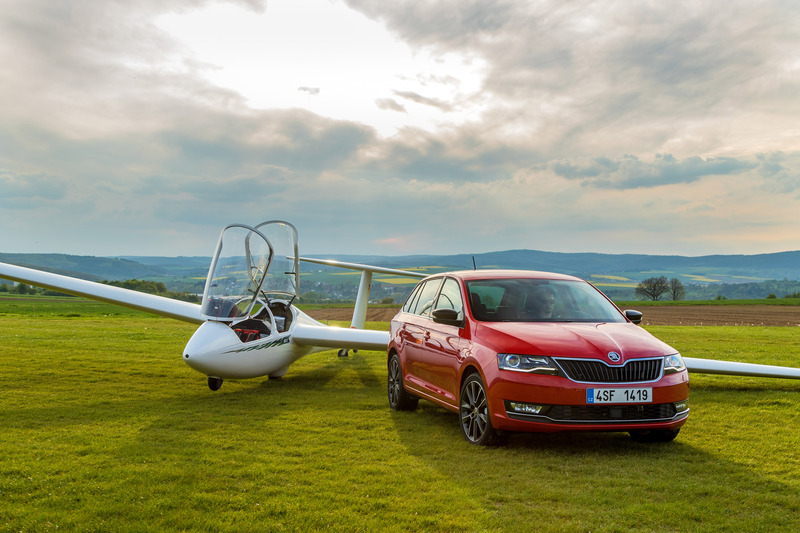 As a result, the SPACEBACK boasts segment-topping dimensions with 65 mm of kneeroom as well as front and rear headroom of 1,014 mm and 980 mm respectively. The boot space is also among the largest in this category with a capacity of 415 l, or 1,381 l with the rear seats folded down. From Ambition upwards, the main headlights are now available with energy-efficient bi-xenon lights as an option and the daytime running lights use LED technology as standard. When the driver indicates, the LED unit becomes an LED indicator. Light Assist rounds off the programme. This turns on the daytime running lights when the ignition is switched on. A sensor continuously assesses the light conditions and automatically switches the headlights on and off as required. This works in twilight as well as when driving through forests or tunnels. The lights are also turned on automatically as soon as the windscreen wipers are operated. The Coming Home and Leaving Home functions provide lighting for a predefined period of time. The vehicle’s surroundings are illuminated, allowing occupants to safely get into or out of the car. 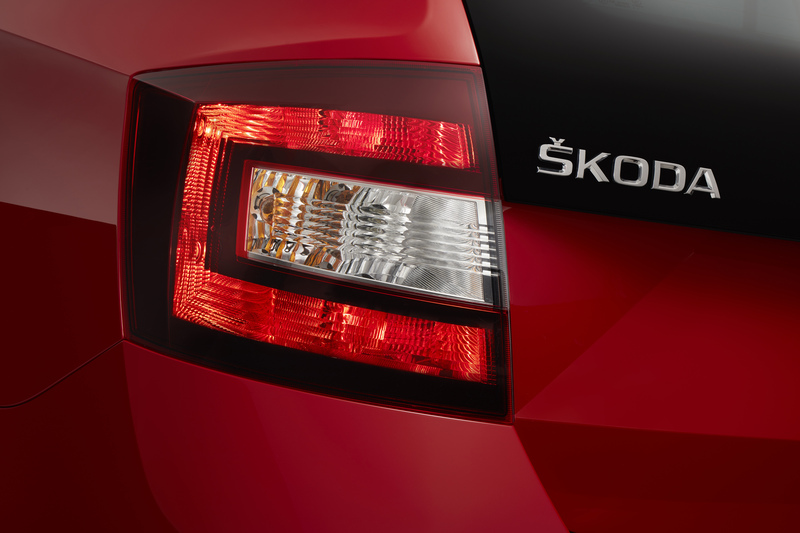 The Light Assist feature High-beam Assist ensures optimum illumination of the road at all times. In darkness and when the speed exceeds 60 km/h, the sensor recognises vehicles ahead (at a distance of up to 400 m) as well as oncoming traffic (up to 1,000 m) and dips the beam when required. 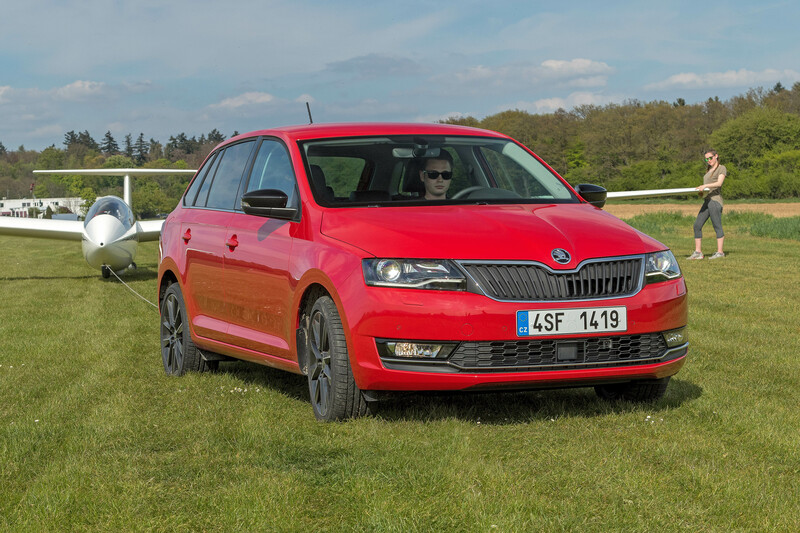 The ŠKODA RAPID SPACEBACK can also be ordered with front fog lights including cornering function in the trim levels Ambition and Style. The long wheelbase, a precise chassis and the rigid body structure form the basis for stable driving dynamics. 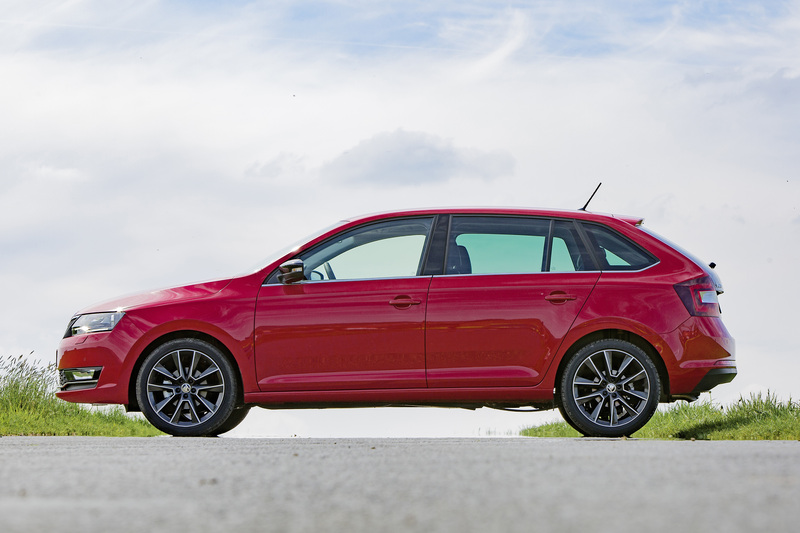 The ŠKODA RAPID SPACEBACK features a comprehensive range of safety systems. Standard equipment includes Electronic Stability Control (ESC) and continuous tyre pressure monitoring (in EU countries). 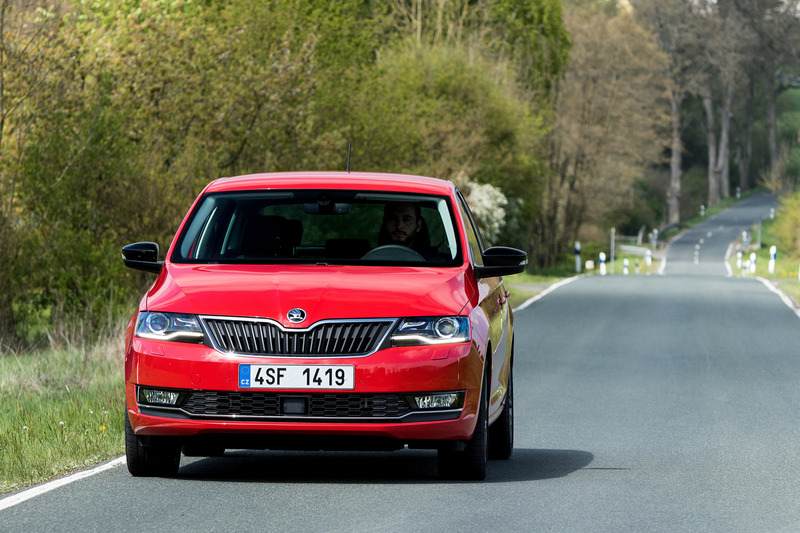 Every ŠKODA RAPID now comes with Multi-Collision Brake as standard, which reduces the risk of multiple collisions in the event of an accident. 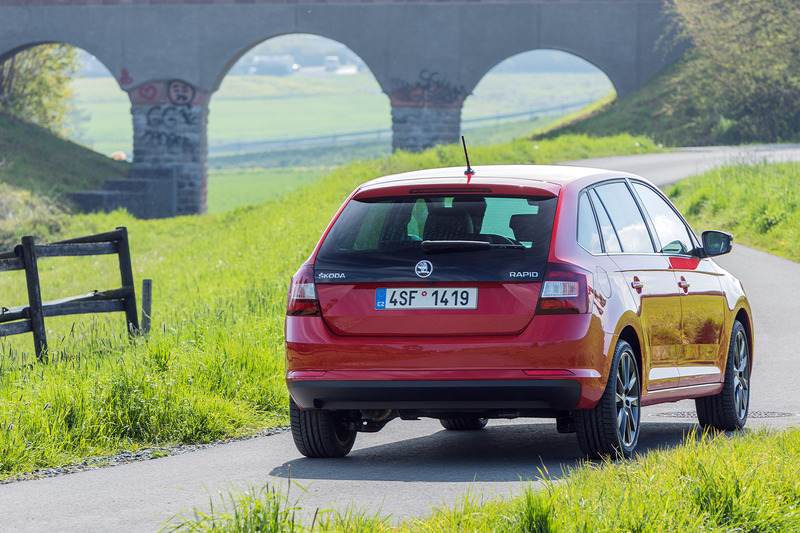 Modern assistance systems such as the Driver Alert fatigue detection system and Front Assist, including City Emergency Brake function, are also available for the ŠKODA RAPID SPACEBACK. Optional functions such as fog lights with cornering function or Hill-Hold Control increase the level of active safety. 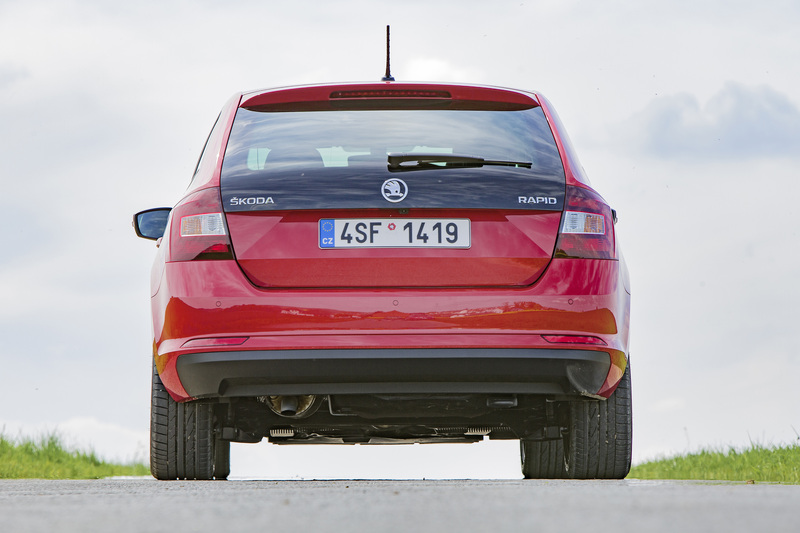 Front and rear parking sensors provide comfort and safety. The passive safety systems protect the occupants in the event of a collision. 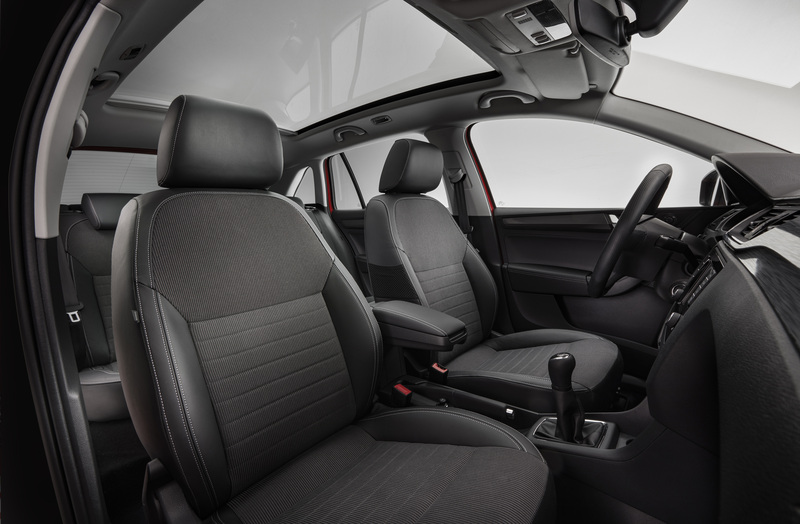 They include six airbags as standard (front, side and curtain airbags) as well as height-adjustable three-point seat belts with tensioners in the front. The rigid body exhibits excellent deformation behaviour for the vehicle in the event of a collision. 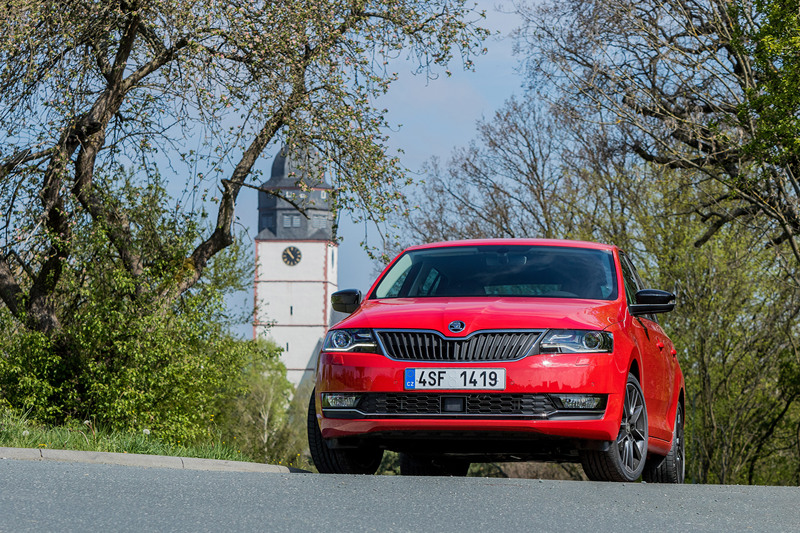 The technology under the ŠKODA RAPID SPACEBACK’s bonnet is also state-of-the-art: all engines feature fuel efficiency measures such as brake energy recovery and a Stop-Start function and fulfil the EU6 emissions standard. Depending on the engine variant, there is a choice of a 5-speed or a 6-speed manual gearbox or an optional 7-speed DSG transmission. 1.0 TSI, 70 kW (95 PS), top speed of 184 km/h, 0-100 km/h in 11.0 seconds, combined consumption of 4.4 l per 100 km, 101 g CO2/km. 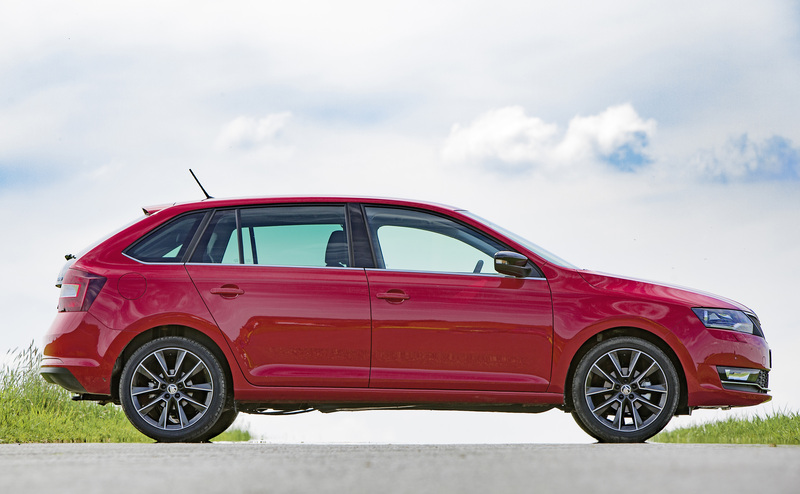 Transmission: choice of 5-speed manual or 7‑speed DSG. 1.0 TSI, 81 kW (110 PS), top speed of 198 km/h, 0-100 km/h in 9.8 seconds, combined consumption of 4.5 l per 100 km, 104 g CO2/km. Transmission: 6-speed manual. Due to their compact construction and aluminium crankcase, they both now weigh ten kilograms less than the 1.2-litre engines they are replacing, and their running is particularly smooth and refined. The free inertial forces are low and the otherwise customary balancing shaft for three-cylinder engines is therefore not necessary. This saves on weight and helps to reduce fuel consumption and CO2 emissions. 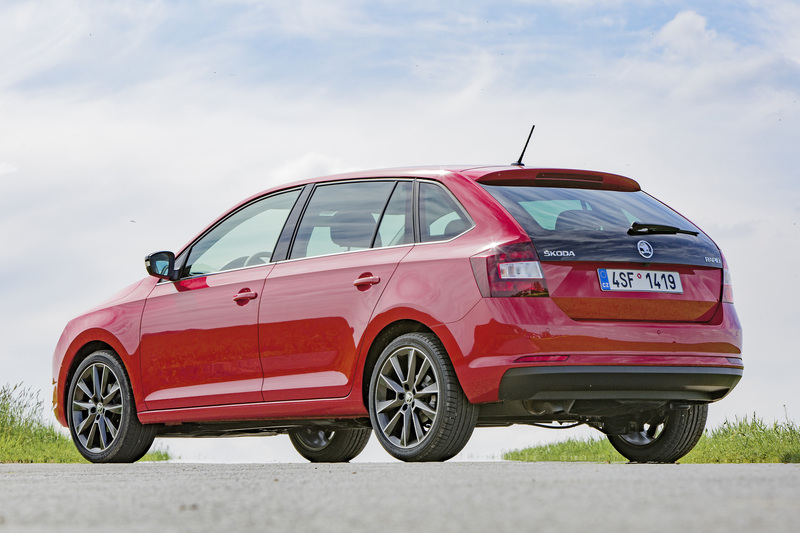 1.4 TSI, 92 kW (125 PS), top speed of 205 km/h, 0-100 km/h in 8.9 seconds, combined consumption of 4.8 l per 100 km, 113 g CO2/km. Transmission: 7-speed DSG. 1.4 TDI, 66 kW (90 PS), top speed of 183 km/h, 0-100 km/h in 11.6 seconds, combined consumption of 3.9 l per 100 km, 103 g CO2/km. 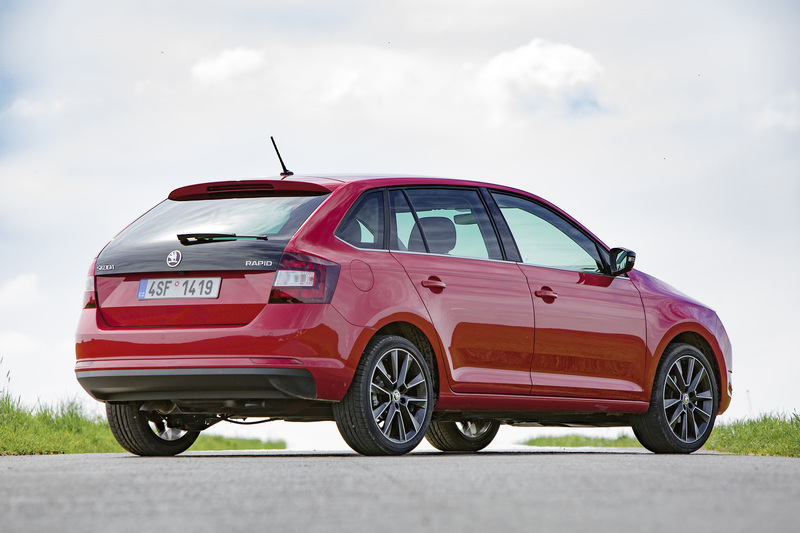 Transmission: choice of 5-speed manual or 7‑speed DSG. 1.6 TDI, 85 kW (116 PS), top speed of 198 km/h, 0-100 km/h in 9.9 seconds, combined consumption of 4.1 l per 100 km, 107 g CO2/km. Transmission: 5-speed manual. The diesel engines operate with common-rail direct injection and a diesel particulate filter. 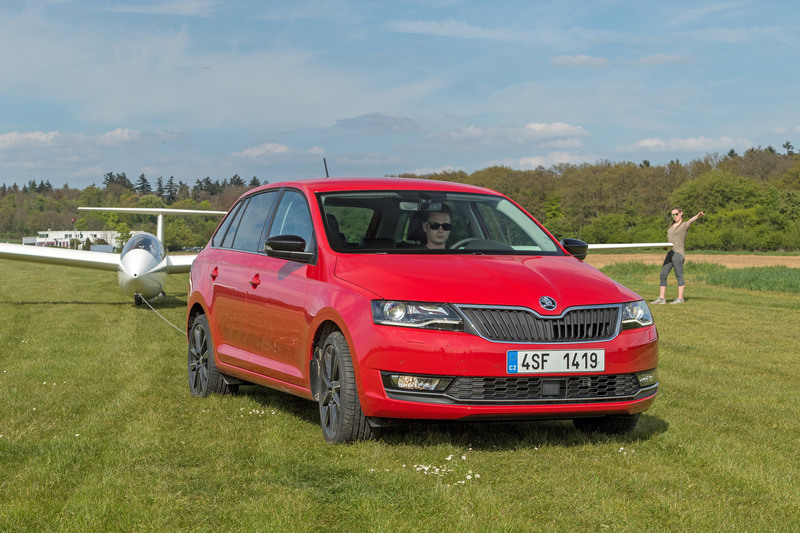 If they wish, the occupants in the upgraded ŠKODA RAPID SPACEBACK can be ‘always online’ using a Wi-Fi connection. 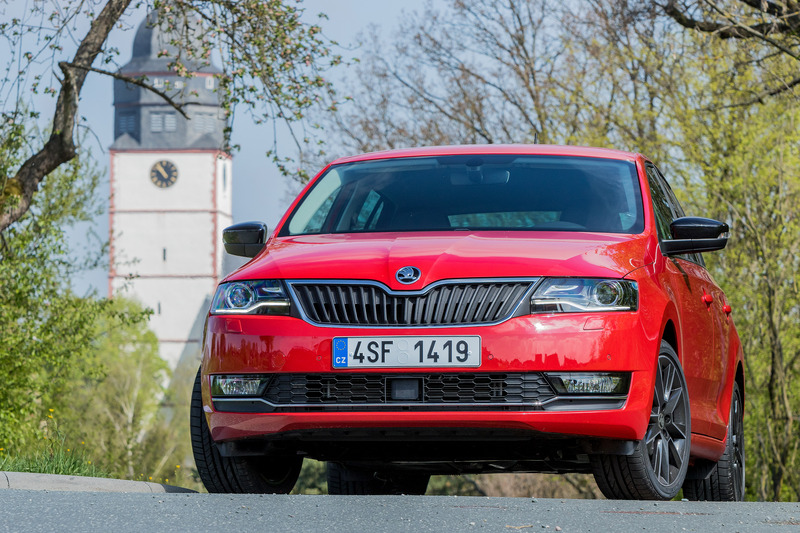 The new ŠKODA Connect services consist of Infotainment Online for information and entertainment, and the Care Connect services for assistance and services. The Infotainment Online services include real-time Online Traffic Information, petrol stations (including up-to-date fuel prices), parking spaces, current news or the weather report. The Care Connect services support the driver in many situations and are available for all trim levels with the Amundsen and Swing infotainment systems. 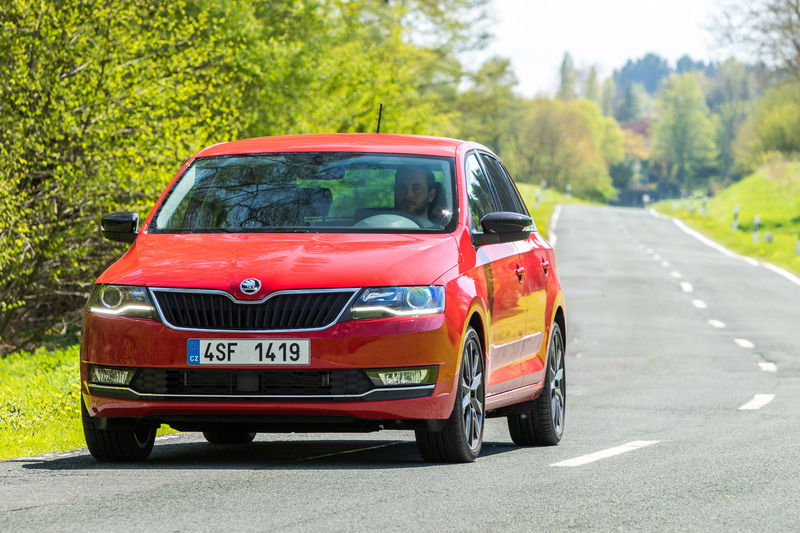 The range includes the automatic Emergency Call, which connects to an emergency call centre when a restraint system has been deployed, the Breakdown Call and the Proactive Service with direct contact to the ŠKODA garage of choice to have questions answered or to arrange the next service. 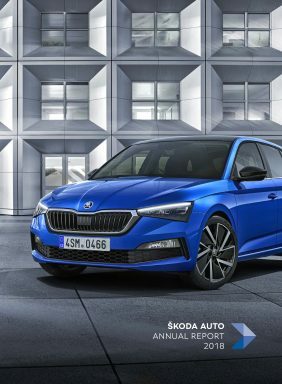 Via the ŠKODA Connect app, the driver can, at any time, remotely access information about the car or check its condition on the smartphone. Furthermore, it is possible to send navigation destinations to the car. Those who struggle to remember where their car is parked can also have its current location displayed on their smartphone. The ŠKODA RAPID SPACEBACK’s music and navigation systems are based on the second generation of the Modular Infotainment Matrix. 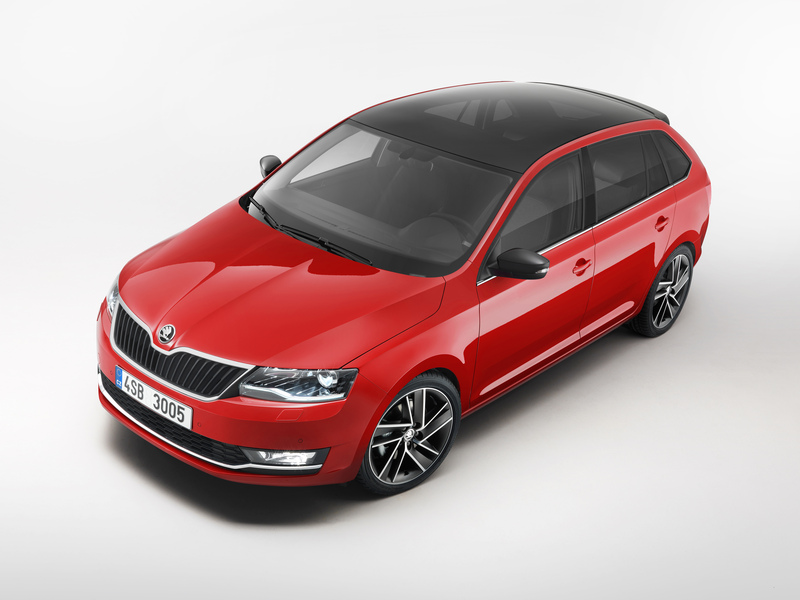 Features such as the ŠKODA surround system, the Bluetooth hands-free system and USB ports are now available as standard or as an optional extra. The SmartLink+ smartphone interface – supporting the Apple CarPlay, Android Auto and MirrorLink™ standards – allows the use of selected apps via the ŠKODA RAPID SPACEBACK’s display. 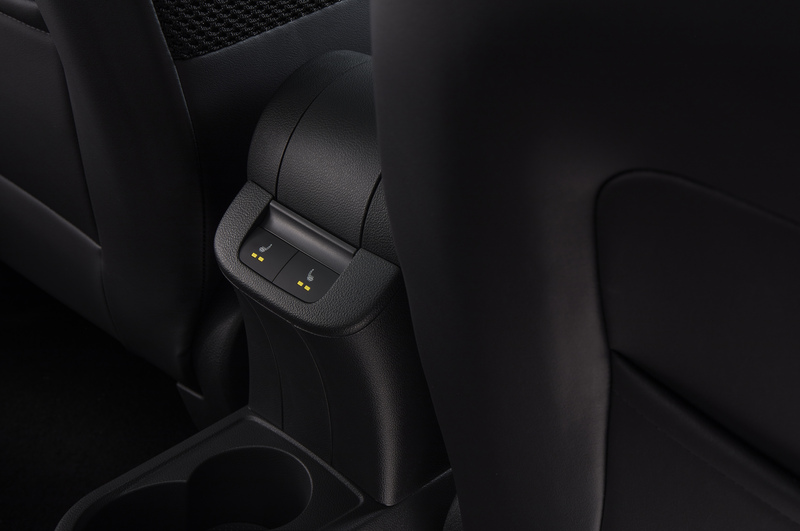 The Media Command 2.0 Rear Seat Entertainment system (available as an option from Ambition upwards) allows two tablets attached to the back of the front headrests to be connected to the infotainment system via the Wi-Fi hotspot. 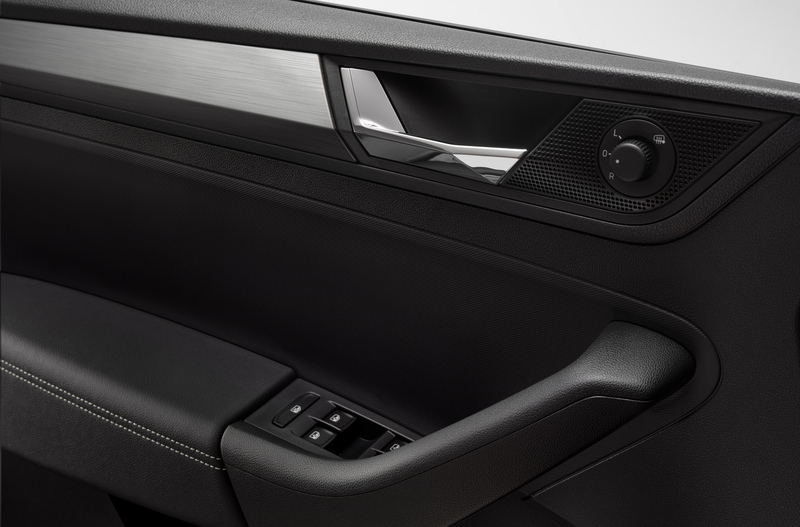 This enables navigational destinations to be transferred from the tablet’s address book and calendar as well as allowing the infotainment system to be controlled from the back seat. 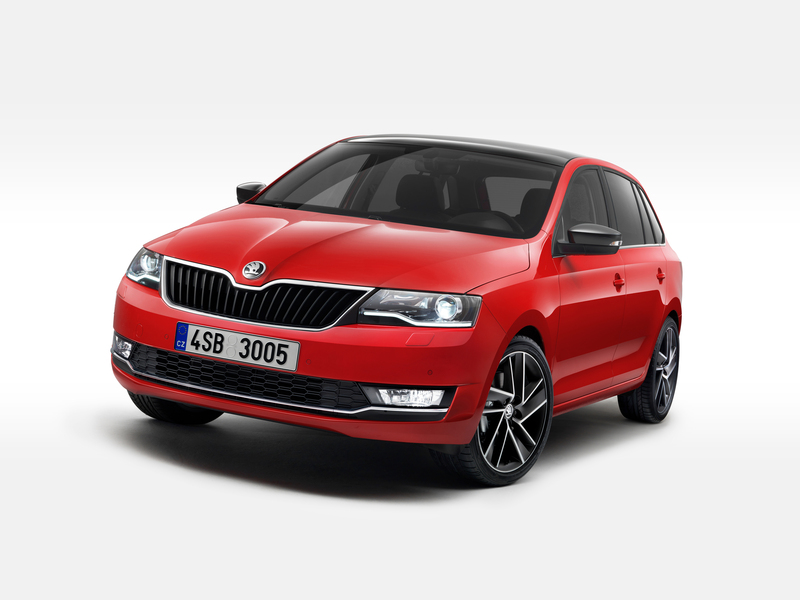 The numerous ʽSimply Clever’ features make ŠKODA models particularly popular. 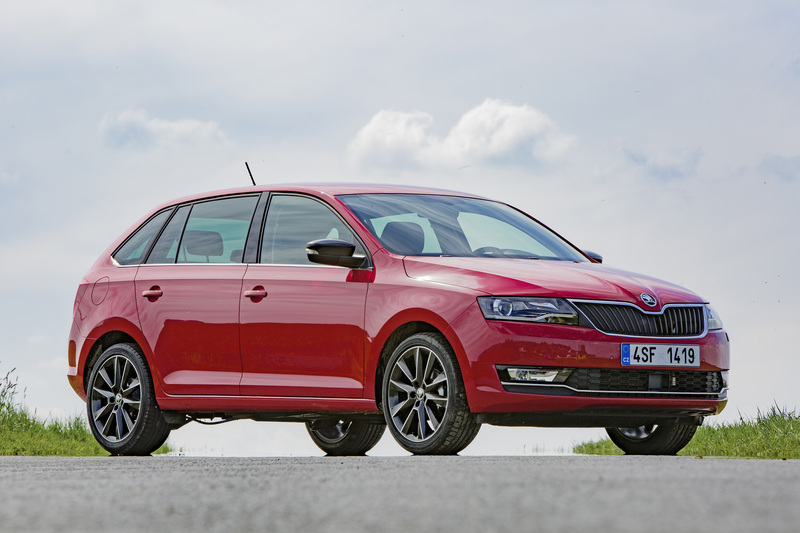 The new features in the upgraded ŠKODA RAPID SPACEBACK include two USB ports in the rear, which can be used to charge smartphones or other small mobile devices. In addition, there are 20 smart ‘Simply Clever’ features in the car (as standard or optional): an ice scraper in the fuel filler flap, a double-sided boot liner with a carpet and a rubber side, a high-vis-vest holder under the driver’s seat or an umbrella in a compartment under the passenger seat. 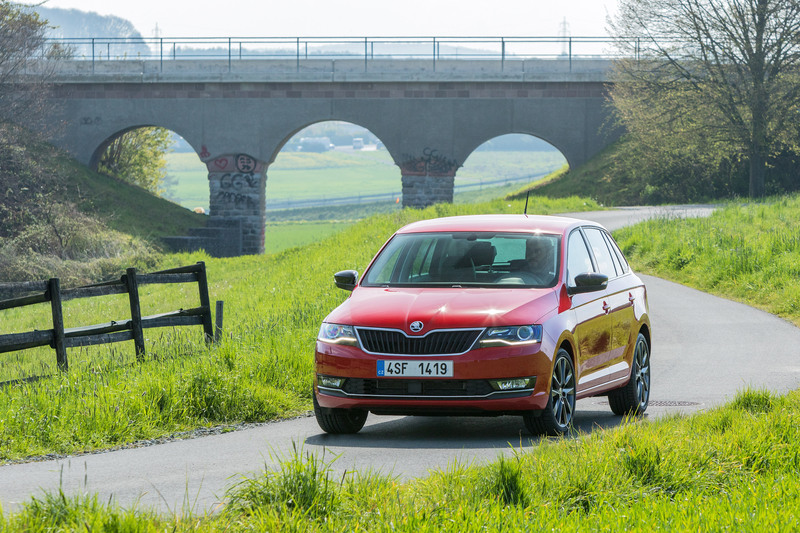 The ŠKODA RAPID SPACEBACK’s boot distinguishes itself with an adjustable false floor, which allows the luggage compartment to be divided into two horizontal sections. The parcel shelf, which lowers vertically behind the rear seats, is also very practical. 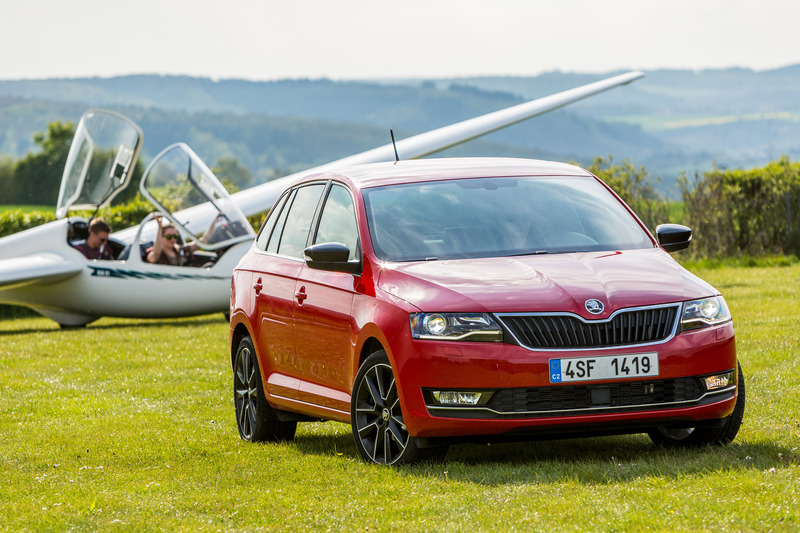 The ŠKODA RAPID SPACEBACK is available in the Active, Ambition and Style trim levels and as a MONTE CARLO variant. The lifestyle-oriented MONTE CARLO variant offers a sporty touch. Black design features emphasise its dynamic character both on the inside and the outside. 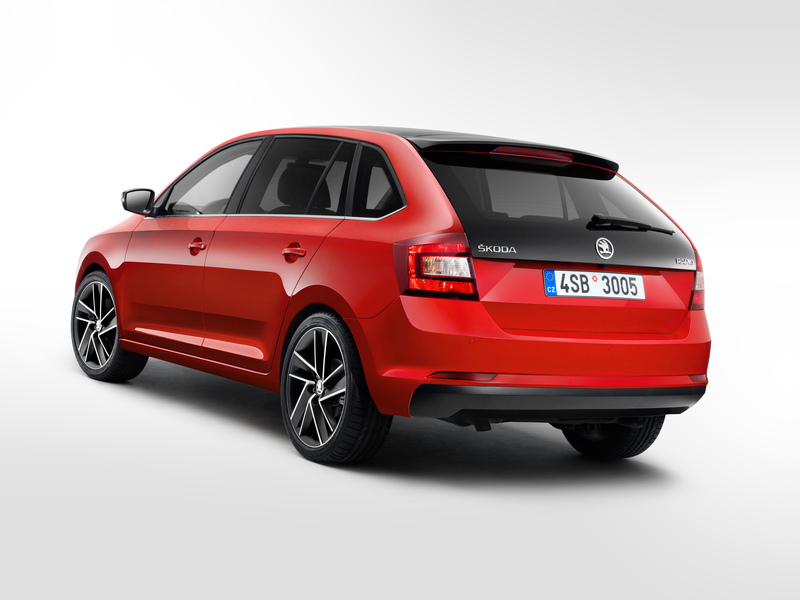 Thanks to its longer rear window, the ŠKODA RAPID SPACEBACK MONTE CARLO now has an even more attractive rear section. There is an almost unobstructed view of the sky through the panoramic glass roof which is fitted with a retractable sunblind and comes as standard. Bi-xenon headlights, a lit glove compartment and electrically adjustable, heated wing mirrors also come as standard.